This RECESS on The Intertwine sponsored by KEEN. My husband and I visited different sections of the Springwater Corridor on three different days over a couple of weekends in Autumn. We traveled via I-205 and took the Johnson Creek exit and followed a map to get to the Tideman Johnson Nature Park. We parked on the street and then, bicycled east to about 122nd Ave. before turning around. We enjoyed watching all the people out biking, running and walking. The trail follows close to Johnson Creek for quite a while and goes through light industrial sections of Portland. 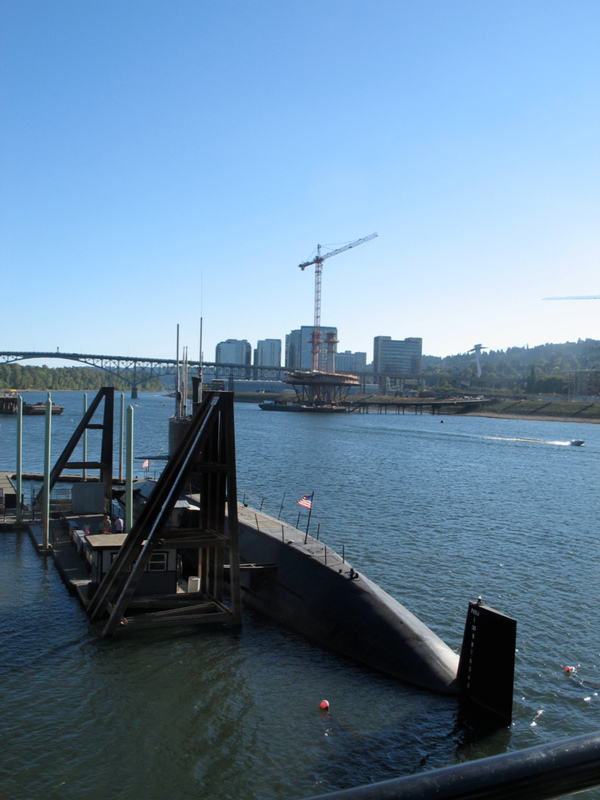 It’s a different slice of Portland than we usually experience. 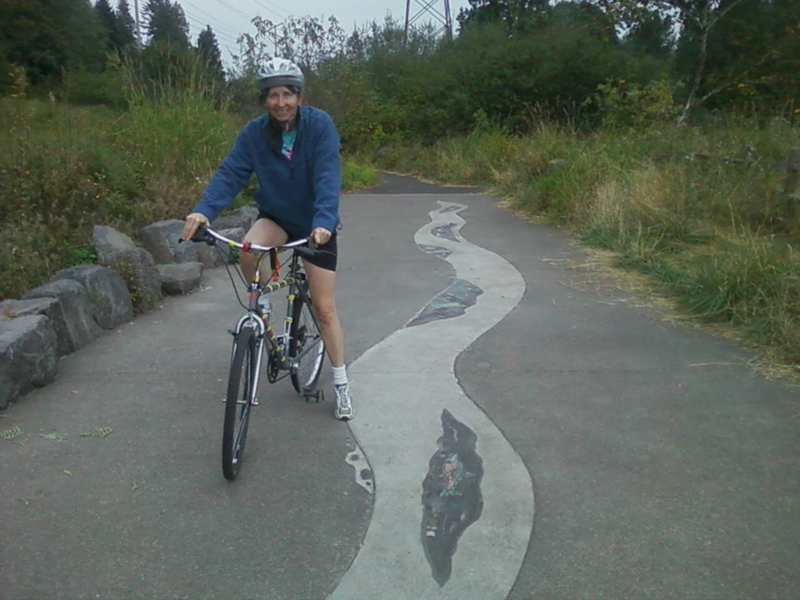 The trail is flat and user friendly. We made a pit stop at Cartlandia where the Springwater Trail meets 82nd Street and had some Mexican food from Brother Express and some homemade horchata. There is a bike repair place here too which is a good thing to know about in case of a flat tire or other calamity. The next weekend, we started our bike ride from Powell Butte, an extinct cinder cone and nature area of 608 acres, and ended up parking near a little store off of 136th Ave. Check out the Powell Butte trail closure map for parking and trail information before you go. We saw squirrels, rabbits, cats, a grey heron, and miscellaneous other birds. We talked with a woman who lives near the trail and she told us that sometimes when she bikes in the winter, water rises onto the sides of the trail and the landscape becomes a wetland. We learned that thousands of volunteers (many were school children) helped with planting thousands of trees as part of the Johnson Creek Restoration project which stabilized and sheltered the banks of the creek and increased habitat for fish and wildlife. Staff rescued about 1400 fish and added enough additional feet of flood storage to cover a 30 acre area with two and a half feet of water. 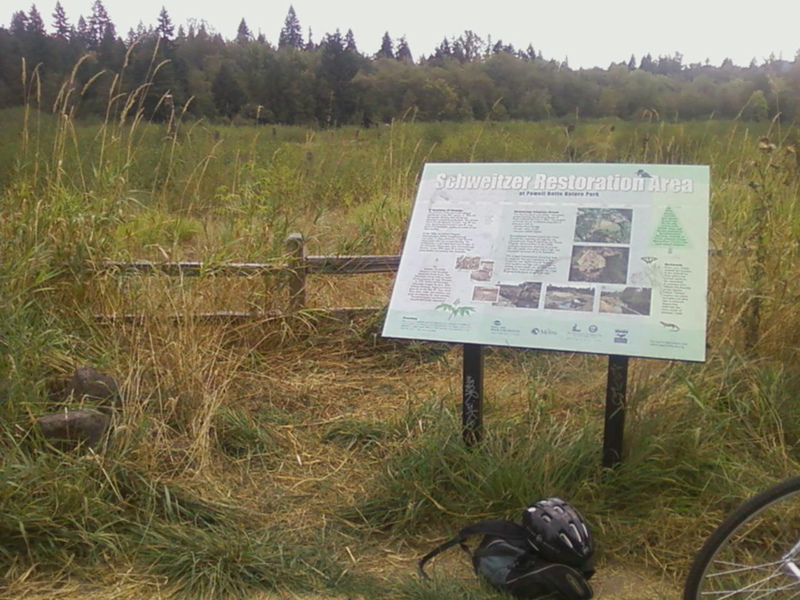 On yet another weekend, we explored the Springwater Corridor by parking near OMSI and walking south toward Oaks Bottom. 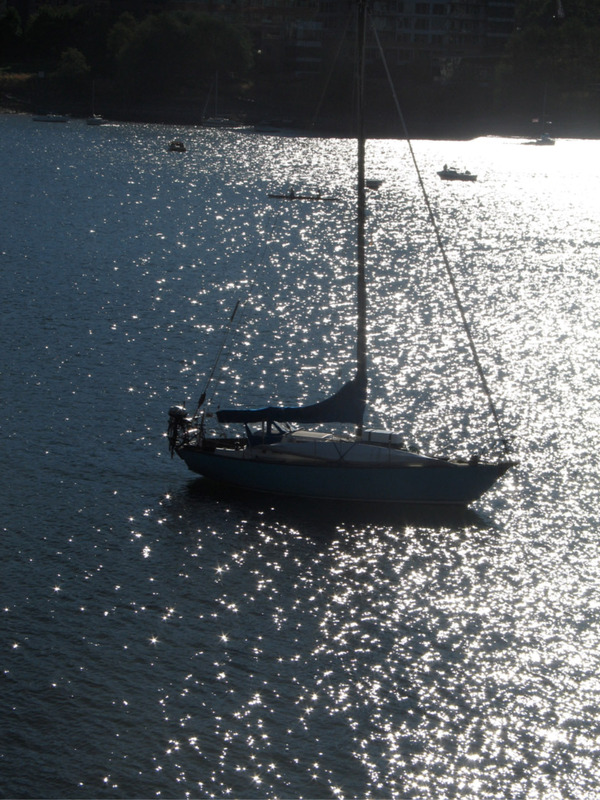 The sun was sparkling on the water. 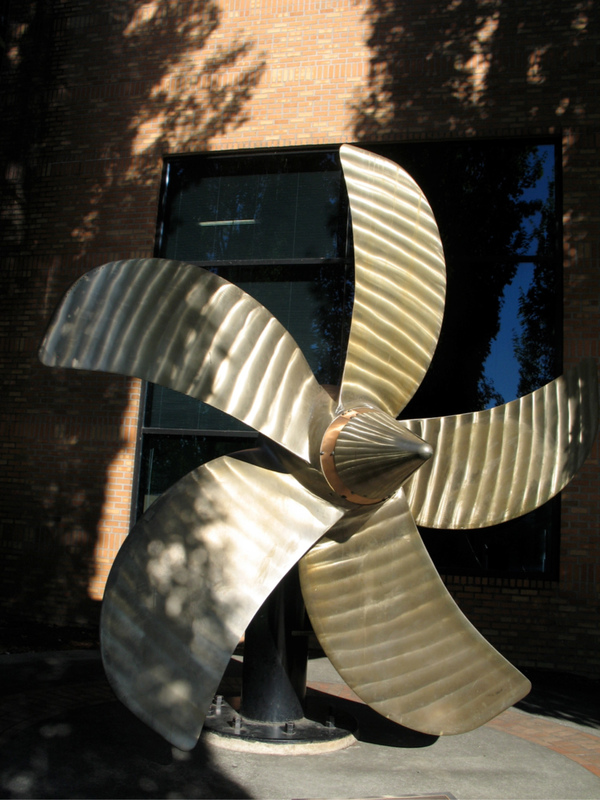 An old ship propeller near OMSI reminded us of the history of the river. 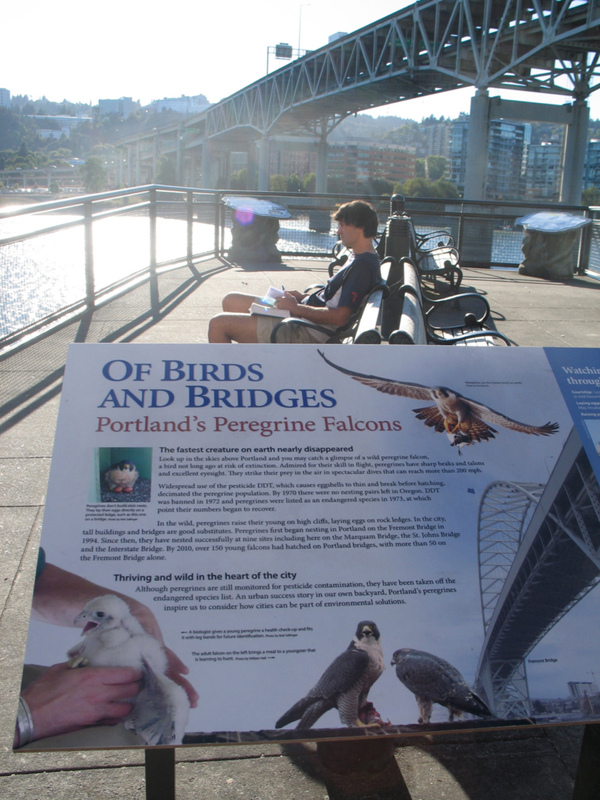 We saw where the new Milwaukee bike path bridge is being constructed and read about peregrine falcons that nest on Portland’s bridges. 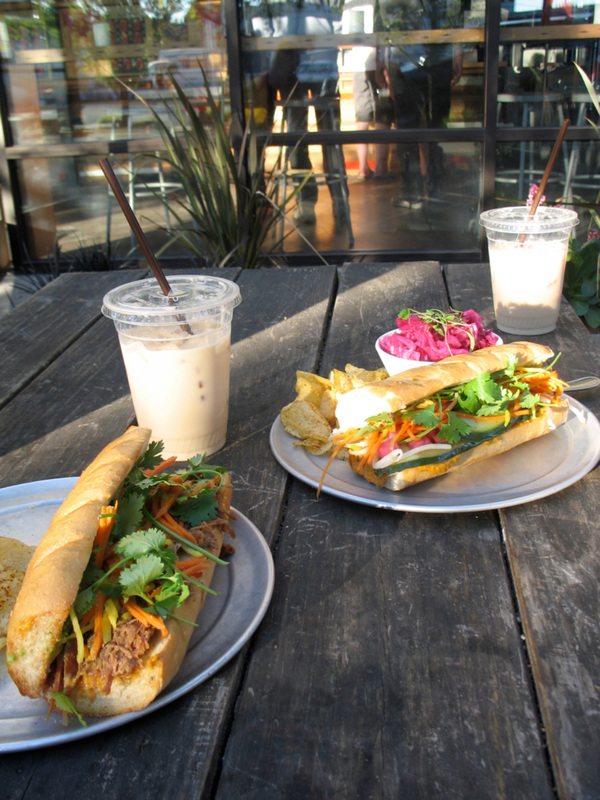 We headed east off the trail up to 12th and Division Streets to the Double Dragon and ate some tasty banh mi style sandwiches with refreshing Saigon Sweet Tea. Across the street, Apex Bar was bustling. 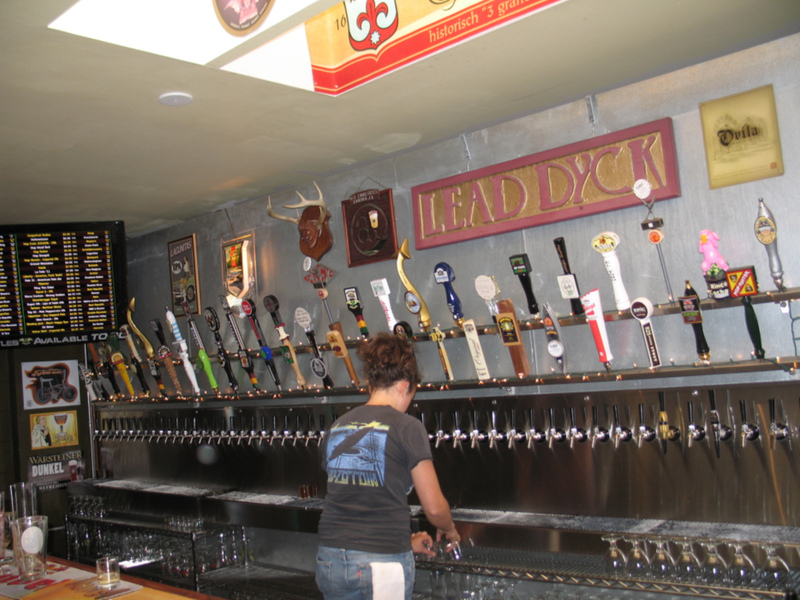 It has plentiful bicycle parking, pinball machines and over 50 beers on tap. 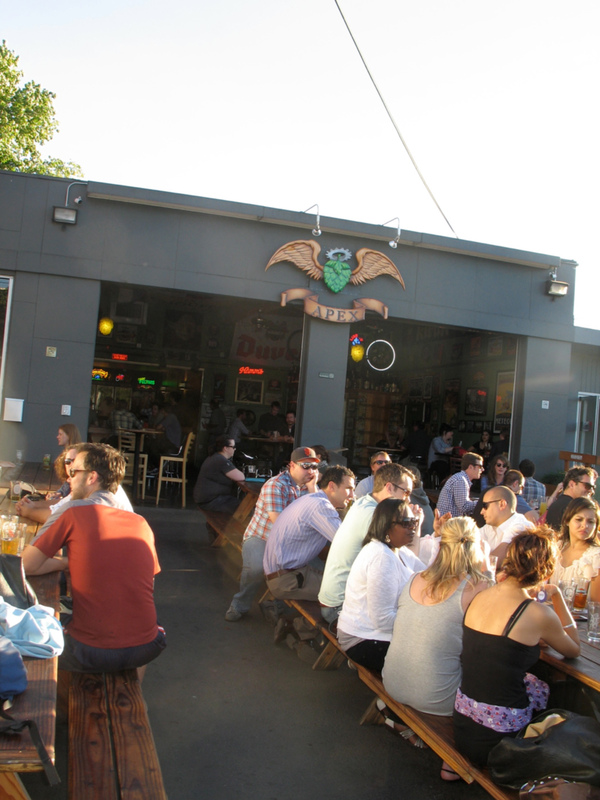 We were happy to learn of this newer bar with plentiful beer options and the chance to test our skills at pinball, but we had errands to do so we headed home. I hope they have a Merlin’s Magic machine. While you're out, make sure to see the Leach Botanical Garden off of 122nd a few blocks south of The Springwater Trail.